ISDN (Integrated Services Digital Network) is still the worldwide standard tool for sending high-quality audio over ISDN and it is the broadcaster’s choice for remote audio production. ISDN is essentially a special high quality telephone line used in radio broadcasts, voiceover, and for other needs that require a high quality, digital sound. Specifically, ISDN connects the voice-talent, who is at one studio, and the client (producer) who is at another studio. Because they are digitally connected, both parties hear the voice over recording in real-time, with perfect quality, and have the ability to record the audio. Source-Connect is very similar to ISDN, but uses the internet to transmit the audio. Our ISDN lines and equipment let us connect digitally all over the world to similarly equipped studios, broadcasters, advertising agencies, actors and voice-over artists. 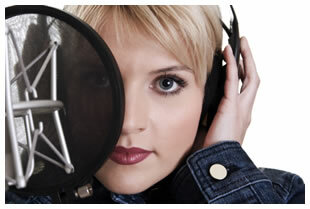 All studio rates include sound engineer, edit, upload & transfer of files *No additional charges or backup fees! After hours and weekend rates are additional, just give us a jingle.